If there is one thing that I can wish for the Philippines, it would be the happiness of it’s people. But wishing happiness for everyone is easy. Making it a reality is a great challenge. Especially for someone like me who does not have the resources to make it happen. How can I possibly make an entire country happy by myself? It’s an impossible task. Not helped that I am not an entertainer or that I do not have a lot of money. Still, this does not stop me from thinking about it. If I had the resources, how could I do it? How can I make Filipinos happier? - I wonder. So I think about what makes people happy. What’s the secret to happiness? Is it money, prosperity, a decent job, a healthy family, less worry, more security, etc, etc? There are many possible sources for making someone happy and it may not be the same for everyone. In other words, a vision is like a pill that can heal. Although it’s not like any ordinary medicine. It is almost like an all-in-one antidote. It cures what ails most people whatever “sickness” they may have that prevents them from becoming happier. Of course, promoting a vision for a country is not easy. For one thing, once the vision is created people will not automatically take that seriously. The source of the vision should have credibility to be listened to by people. And if the people did decide it’s worth hearing, the vision should be able to spread to everyone. It’s going to be a Herculean task to pull off something like that. Ideally, a leader should put forth the vision. Like when John F. Kennedy said America would do what’s necessary to be able to walk on the moon in a decade. It gave people a sense of euphoria. Kids started learning Science and Engineering. They wanted to be a part of something great and they did what they could to contribute. But an ordinary person sharing a vision is now more plausible than at any other time in history. That’s because we now have social media as a tool. Just recall how one person started the Million People March to fight PDAF in Facebook. It was a grassroots campaign that ultimately succeeded. In theory, it’s not impossible to be able to rally people for a cause. As long as they are willing to support the vision. That means the vision should be something they believe is important. Something they are passionate about. What Vision Will Give us a Nudge? No Filipino will be poor by 2020. The Philippines will be a First world nation by 2030. I know it’s something we can’t do easily. In fact, it seem like an impossibility on first glance. But if the campaign is serious and the strategy is sound, the people may just start to believe in it. With luck, our leaders will start hearing it and make it their own. Eventually we could be seeing the whole nation pumped up about the great near-future that await us all. And that feeling will reverberate through the ages. It will start movements, businesses, activities. It will trigger creativity, passion and determination. All these things Filipinos already have within them. This is not saying we don’t have these important characteristics to begin with. It’s not that we are deficient. It’s just that we have not been challenged enough to start the avalanche of great progress we know we are capable of making. So I would give the Philippines exactly that as a gift. A vision and a campaign to promote that vision - both of which will serve to nudge us from mediocrity towards excellence and prosperity! How about you? 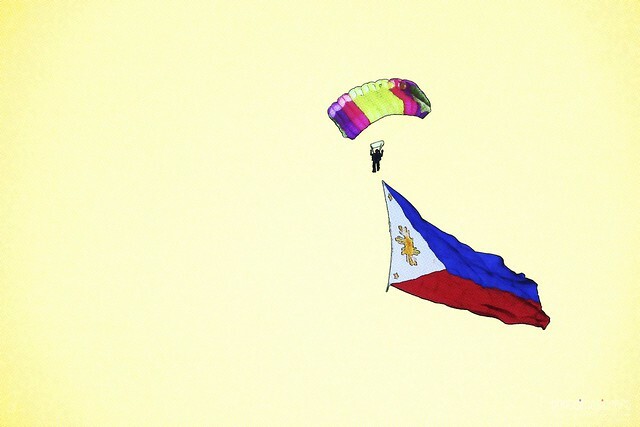 If there is one thing you can give to the Philippines, what is that gift? Hit the comments section below to share your wish for our country!